Open Faculty Position at POSTECH Department of Chemical Engineerin..
Pohang University of Science and Technology (POSTECH) is striving to lead the world in research and to nurture global scientific leaders. POSTECH Department of Chemical Engineering invites creative and daring scholars for tenure-track faculty positions to work together in achieving POSTECH’s goals.1. 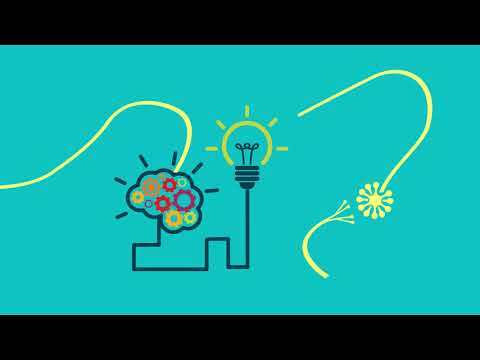 Open Fields : All areas of chemical engineering and related subjects2. Open Posts : Up to 33. QualificationsApplicants who have earned Ph.D. in relevant areas of Chemical Engineering are eligible unless they are incapacitated or unqualified for special reasons4. Required Documents(1) Curriculum ..
Two Faculty Positions in Industrial and Management Engineering at.. The Department of Industrial and Management Engineering at Pohang University of Science and Technology (POSTECH) invites applications for two full-time, tenure-track or tenured faculty positions. The positions are primarily at the Assistant or Associate Professor-level but outstanding applicants at the Full Professor-level will also be considered.We are seeking candidates with a research focus in the broad areas of Industrial and Management Engineering (including, but not limited to, operations research, data analytics, statistics, large scale systems engineering, financial engineering, ri.. The deadline has been extended in order to accommodate additional entries from POSTECHIAN returning for the 2nd semester. Your participatio.. Faculty Position at the Department of Electrical Engineering, POST.. The Pohang University of Science and Technology (POSTECH) in South Korea is seeking outstanding applicants of all ranks to fill tenure-track faculty positions at the Department of Electrical Engineering. 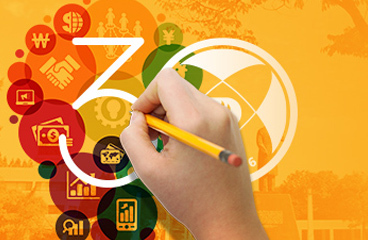 Applications are invited in all fields of Electrical Engineering with emphasis on (1) Emerging Electronic and Photonic Devices (Semiconductors, 2D Materials, and Organic/Bio Materials), (2) Computer Vision or Image Signal Processing, (3) Embedded System or Computer Architecture, and (4) Wireless Network or Communication Security. Candidates with strong commitments to research and teaching are ..
Tenure-Track Faculty Position in Experimental Condensed Matter Phy..
Tenure-Track Faculty Position in Experimental Condensed Matter Physics, Optics, Biophysics, and Theoretical Particle Physics at POSTECHThe Department of Physics at Pohang University of Science and Technology (POSTECH) has openings of several faculty positions in various fields for the spring/fall semester of 2017 or spring semester of 2018. We invite applications for the following tenure-track faculty positions:Experimental Condensed Matter Physics (1)Optics and Biophysics (2)Theoretical Particle Physics (1)Application review will begin on October 1, 2016. We will accept applications until t.. Faculty OpeningsDepartment of Creative IT EngineeringPohang University of Science and TechnologyThe Department of Creative IT Engineering (CiTE) at Pohang University of Science and Technology (POSTECH, one of the best small and young universities in the world, e.g., #1 in the Young University (less than 50 years old) rankings for three consecutive years, 2012-2014) is currently soliciting applications for tenure-track faculty positions in IT-related areas including Smart Computing, Smart Devices and Systems, and IT-based Future Healthcare. Appointments at all levels will be considered.POSTECH&.. Faculty Positions AvailableThe Department of Mathematics at POSTECH invites applications for several tenure-track faculty positions in all areas of Mathematics. The positions are primarily at the Assistant Professor level, but senior candidates with strong credentials will also be considered for higher-level appointments. The positions are open to mathematicians of any nationalities who are fluent in English. 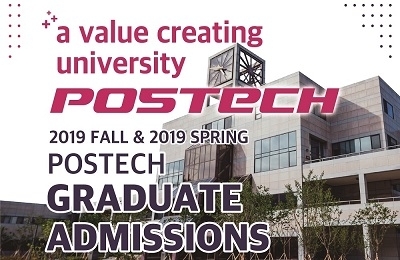 New faculty members are provided with start-up research funds and competitive benefits packages, including ten-year rent-free faculty accommodation.POSTECH was founded in 1986 by the worl.. If you are interested in summer internship program, please apply for that program with relevant materials.For more details, please refer to the website(http://gift.postech.ac.kr/) and contact a staff(enmei@postech.ac.kr_279-9203). Please find the attachment for details. Building Access Control System To Be Temporarily Unavailable Due t..
Due to scheduled power outage, the Security Control office will be unable to remote control entrance doors and support access to the relevant buildings. All staff, faculty, students, and residents within POSTECH must carry their entrance ID card with them. 1. Period : Saturday, April 23th (8 am - 10 am)2. Affected Area : Life Science Bldg, Chemistry Bldg.3. For any inquiries, please contact the General Affairs and Safety (☎ 279-2450) or Security Control (☎ 279-2222).